[FV] Information: As you can see, I am requesting this map to be a fake version. 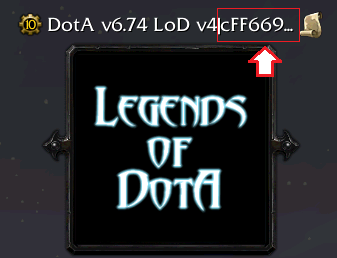 The map will be named as DotA v6.74 LoD v4c Anti-Hack. [ED] Information: I requested earlier about extracting some Jass codes and clanhinata fulfilled it Here's the link!, I haven't tested it so it might be messy. Anyways, the main topic at hand is that. 1.) After renaming the map to a Fake Version! Lets go now to step 2. Please look at the image below! 2.) Please INSERT the extracted Anti-Hack Jass Codes from the link above of this thread. I just hope both the Visual and the Real Jass code would be inputted in the map. Hoping that the Jass Code is working like a charm for the map, I need the map to be multi-playable. Just like in the original system/map. DFM's opinion: The game is great and most played by players because it has so many unbalanced/overpowered skills unlike the updated version which is higher than the 8MB size limit. (Don't even tell me to use 8MB Size unlimiter. Always crashed my War3). There would always be a Map Hacker along the way, that's why I need it to be MH-Free so we can play without hacking the FOG of War, the runes and etc!!! Map Description: The old Legends of DotA series map that is long ago always been played, sadly. No one ever played it now because of the new maps and hackers-NOOBS. I was hoping to get the new Anti-Hack/Anti-Cheat system from the latest map of LOD and insert it to the old ones. If you want/need the main site you can downloaded it from, here's the link of the website if your concern. I am hoping to have great results from the one who can achieve this goal of mine! I was really in the process of doing it but I always got Fatal! I've done this in 2017 as well, but I finally caught a map that could disabled almost all-free MHs! P.S. When I played the latest map of LoD, I always got Fatal or disconnected for some reason as well when using the 8mb size unlimiter or its just my War3. I reinstalled my copy but its still the same Fatal. 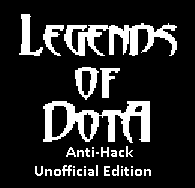 I had some trouble while adding that code from other map, so i added Unryze anticheats, wich have: anti-maphack, anti-sharehack, anti-speedhack, anti-garena master and other hacks in general. Map maybe not work on 1.28+, but i tested on 1.26 and it worked fine. Not sure, but it may have a anti-share, i mean, normal share, if map kicks you for sharing units, tell me and i will remove the function. Last edited by devoltz on September 22nd, 2018, 10:05 pm, edited 1 time in total. I don't know why but I always got a fatal after saving my progress, I tried going solo with 1 insane (This map doesn't have AI) I was in the middle of game, I tried saving and loading. Is it possible to disable the save/load of this game if you can't fix it? When players got angry/blaming/flaming they pretty much spam the save system which is annoying really. I'm still looking for holes to the anti-cheat/hack system so I won't get any hackers when playing the game. Anyways, I tried it with Yhack and its more likely I cannot click like in anti-SP, or would like to have server-split for that matter. Oh yes, this map is for 1.26 War3 only because its an old map, and only be used my LAN Gamers of garena. The server is not that playable to others but almost 300 players still go in there to play. Its for those who doesn't have a real copy to be certain. I will edit this later if I have any updates, I just hope you will help me with this map, thank you very much. There is a mode called "Pooling Mode" if activated by the host, we can share the items without being locked when the players quit or I think thats the sharing code for the game. Reveal Units Minimap....................NOTDetectedInGame! LOL? Seriously? XD Hackers will RULE THIS MAP!!! Can you fix this? The InGame, its 100% Chance when I didn't put any modes and I'd still need to pick 4 skills, after click the hero, I got the status of "Picked already" and the icon of the hero on the upper right is an eye of light-blue. Its a bug! Xenon v2 Note: This is version 2 of Xenon, it doesn't have the ".exe" file in it. Damage Notifier.........................NotDetectedInGame=It shouldn't be detected because there is a command to have this feature in the game, its okay to have this, "-sddon". Game Start Notifier.....................NotDetectedInGame=It's a very useful tool to begin with, when the game starts, the window of war3 will pop-out as IF you have just alt-tab. Last edited by DarkFlameMaster on September 23rd, 2018, 12:04 pm, edited 3 times in total. I tried to apply some functions to prevent the game saving, but it was crashing map when i tried to create it on local area. I got those codes when i was cheating a map from Unryze, tought it may be useful on future and just saved it, i will share on attachment file, but i don't know if Unryze would like it. If he come here to complain, i will remove. I removed the anti-share on new attachment map. Last edited by devoltz on September 23rd, 2018, 3:27 pm, edited 1 time in total. The reason it can detect multi option because he use memory check . I don't need it to be for 1.27 or up, because this one is created only for 1.26. Its for Garena Lan Game use. I don't know about RGC though, their platform is not user-friendly, and for rich kid for that matter. What feature can be bypassed? I might not go into Zodcraft as it is clear that the code I needed to be fixed to be detected by the map is players who can use the said FLAWed code of anti-hack system which is. Reveal Units Minimap....................NOTDetectedInGame!=This should be detected! Reveal Units on Mini Map................NotDetectedInGame=This is a flaw! Can you please fix this? I hope you can, thank you! P.S. You can or should be able to edit the credits, so you can be the one who mod the map, sadly, IDK if you need permission from the real author, this is a cheating forum afterall. 1. )Then whats the difference of this anti HM vs the last post you've kinda fulfilled? 2. )Be specific about it, what "touching" did you mean by that? 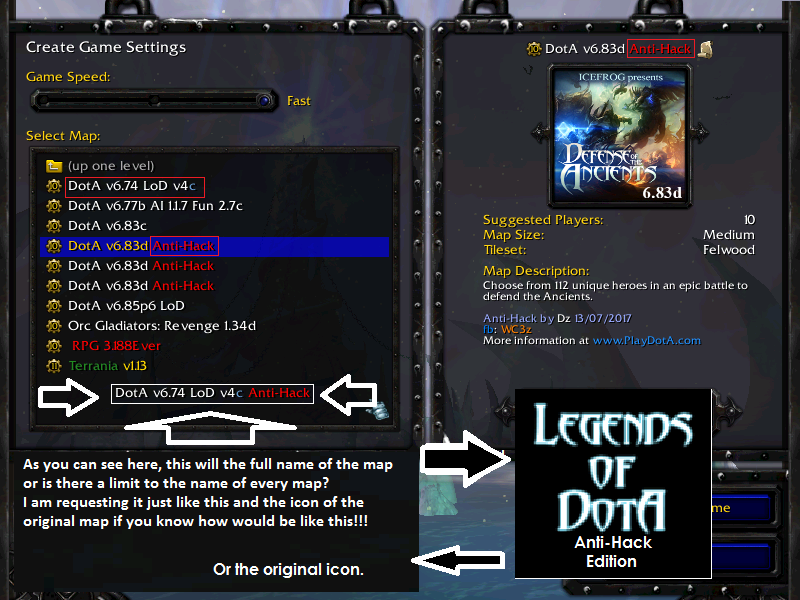 and "without map hack tool", give some examples or else, I won't be able to understand it clearly, make some analogies. Based on a general idea, that everyone could understand clearly(I'm serious, sorry about that). 3. )If this one use memory check, wait! whats memory check? I don't know the basic/general idea about that! 5. )I did not get this part. The other use jass natives, it would patch most of maphacks that change the value "AlwaysVisible" ingame, but wont patch memory change maphacks. Every software has a lot of memory adress, u can change everything in a game only changing the memory values, if u have the correct adress, you can even change your stats in Warcraft 3. A example tool that do it is Cheat Engine. Is a jass function made by blizzard wich can do a lot of things and enable you to use a lot of different methods. As i said, you can change any memory adresses from any game with the right tools, that code from Unryze only checks if the adress for maphack are changed or not, if changed = defeat. We don't fix map bugs that we didn't caused.